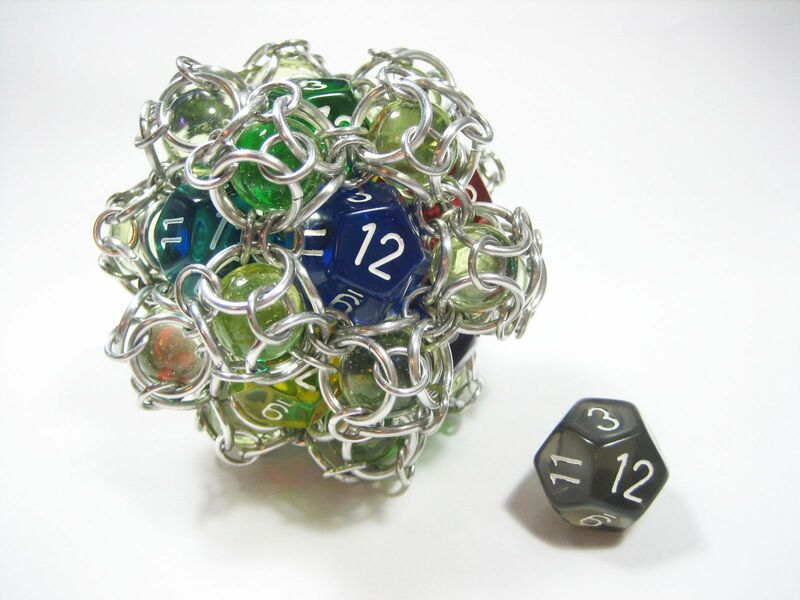 Twelve dice, twenty small marbles, and one large shooter marble. The dice are very secure and are even facing in the correct directions! The rings are bright aluminum 16ga 3/8" and 18ga 7/32". I need to make one of these.